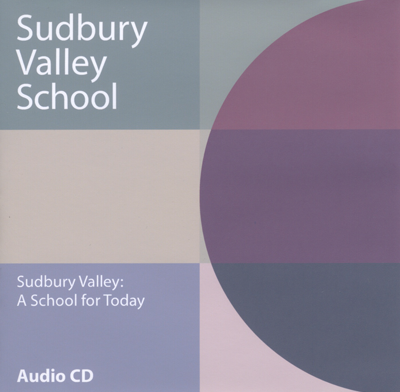 “The students at Sudbury Valley are 'doin' what comes natur'ly.' But they are not necessarily choosing what comes easily. A close look discovers that everyone is challenging him or herself, that every kid is acutely aware of their own weaknesses and strengths, and extremely likely to be working hardest on their weaknesses. If their weaknesses are social, they are very unlikely to be stuck away in a quiet room with a book. And if athletics are hard, they are likely to be outdoors playing basketball. Along with the ebullient good spirits, there is an underlying seriousness – even the six year olds know that they, and only they, are responsible for their education. They have been given the gift of tremendous trust, and they understand that this gift is as big a responsibility as it is a delight. They are acutely aware that very young people are not given this much freedom or this much responsibility almost anywhere in the world. But growing up shouldering this responsibility makes for a very early confidence in your own abilities -- you get, as one graduate says, a 'track record.' Self-motivation is never even a question. That's all there is.